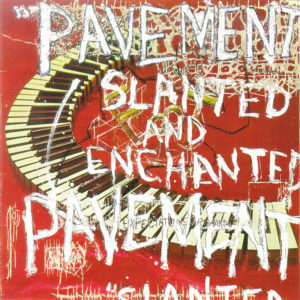 Pavement’s full-length debut album Slanted and Enchanted has remained a critical favorite decades on, sort of the archetype for the kind of indie rock it represented. It reveled in a “lo-fi” aesthetic with tons of slacker charm. Read most reviews of Slanted and Enchanted and you’ll probably be told one or more of the following: a list of influences (The Fall, etc. ), personal details about the band members and the history of how the band was formed, and some personal anecdote about how the reviewer discovered or reacted to Pavement. You can read about those things elsewhere. I want to instead write about the cultural significance of Pavement in terms of what they represented in a larger cultural context of the time. Stephen Malkmus‘s lyrics are sort full of non-sequiturs and almost surrealist imagery. The lyrics, delivered with cracked, non-virtuoso singing, are a big part of what makes up the band’s sound. There is a charm about them. These seem like slackers worth rooting for. On songs like “Here,” Malkmus sings, “I was dressed for success / but success it never comes.” This is sort of what sociologists call “strain theory,” when there is a gap between social expectations and really existing conditions and actualities. Different songs here might represent different types of reactions to social strain: retreatism, rebellion, innovation. The second track, “Trigger Cut / Wounded-Kite at :17,” perfectly fits one of Sloterdijk’s phrases: “coquettish melancholy”. The music is full of noisy guitar distortion. The drums are a lot looser than on later Pavement albums, and this is album is altogether more legitimately lo-fi than later recordings. Alex Chliton‘s Like Flies on Sherbert is an important precedent for Pavement’s aesthetic in this regard. Some of the songs seem like parodies of grunge era rock music. This is where the “enlightened false consciousness” angle gets a bit specific. Pavement seems to be parodying the “false consciousness” of others. But doing so doesn’t escape this false consciousness, and that was precisely Peter Sloterdijk’s critique of cynicism — it still retains a connection to that which it purports to reject, and what it does retain, subtly and unspoken, is the same lust for power and prestige, just through different techniques and strategies. Put another way, a parody of false consciousness merely steps away from the most extreme false consciousness while remaining within it, which is quite different than turning from the wrong path to the right path. If we look back to the song “Here,” it certainly contains a critique of the so-called “myth of meritocracy” of the neoliberal era, but it also displays a casual acceptance of it as well. There is a reference to joining in prayer (religion being the original “opium of the masses”), and to waiting, as if someone else will swoop in and change things. 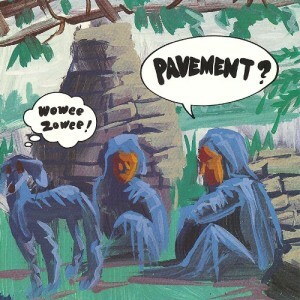 On this debut, Pavement was mostly channeling musical pop culture of the present and past. They had certainly studied up on everything good about 1980s “college” rock. But they were putting their own stamp on it all. That was evident with the album cover — a trashed re-purposing of an old album cover. Later on, Malkmus’ lyrics got a bit sharper. By the time of Brighten the Corners, he was witheringly good at capturing the existential anxiety of trying to manage socially imposed expectations, personal desire, ambition, and resigned acceptance of limited possibilities. But on this debut, the raw energy is a bigger factor. While it is important to note the band’s cynicism, there was more to their music than just that. Actually, one of the very reasons they remain one of the most lauded bands of their day is that they used their cynicism to open up a space to slip in some rather earnest reflections on the sorts of anxieties and coping mechanisms that middle-class, educated white people tended to rely on in a time when opportunities were starting to diminish and expectations were being (somewhat forcibly) adjusted downward. Pavement didn’t rage and despair about it in a nihilistic way quite like, say, Nirvana. They took a more contemplative approach. The ironic distance and cynicism Pavement used was kind of a dead end (just like nihilistic grunge/alt rock). It accomplished the opposite of what it intended. But I think their music represents kind of a necessary wrong move, to enable those who followed to make the right moves — or, at least, better moves. Well, I might as well succumb to one of the typical Pavement album review cliches, and talk about how I was introduced to them. In the late 1990s I was involved in student radio. A woman (Nora?) worked at the station who was middle-aged, and I think was in a graduate program at the time. Everybody loved her because she was one of those gracious, erudite types, who treated us young college kids with respect, lending her wisdom to us but seeking to learn from us too. When talking to her one day she admitted to having fallen out of the loop on what was the latest “in” music, and asked what band was like the new Pavement. I had never heard of Pavement at the time, so I had to admit I did not know. But her inquiry encouraged me to find out. Though I made only a cursory investigation at the time. I did keep hearing more about them though. At another school, a classmate of mine who knew I wrote music reviews for the campus paper asked what I thought about Pavement. His all-time favorite album was Crooked Rain, Crooked Rain. Then a few years later a friend got me a ticket to see James Carter‘s Gold Sounds project perform — this was a jazz band covering Pavement tunes. I felt somewhat bad for not sharing my friend’s deep knowledge and appreciation of the songs, even if I already had an interest in Carter. 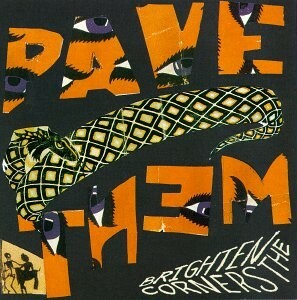 Anyway, now with a much deeper appreciation of Pavement’s music, I can say that Brighten the Corners remains my favorite of theirs, though Slanted and Enchanted is runner-up and is definitely the place to start with this important 1990s rock outfit. I have mixed feelings about Wowee Zowee. It has never had the same impact on me as other Pavement albums. The band always seemed to be at their best when they took an assortment of intriguing influences and put their own indelible stamp of personality on the results. But this album…just doesn’t seem to come together as much as the best ones (Slanted & Enchanted, Brighten the Corners). Scott Kannberg has suggested this album was a little rushed, and might have been different if the band had more time to work on it. That seems like a compelling description. Regardless, this one comes across as one of those mid-career rock albums from a band that has had some success but maybe isn’t ready to just settle on an established formula. So the result is an eclectic bricolage, with various styles and influences on display (comparisons being The Mothers of Invention‘s Freak Out!, The Beatles‘ White Album, Stevie Wonder‘s Songs in the Key of Life, The Clash‘s London Calling, etc.). While the raw materials are certainly here, and there is a great song (“Rattled By the Rush”) and a few more that are really good (“My Best Friend’s Arm,” “Grave Architecture”), overall the band fails to make the best of it. If you like this, you’re probably the type to look past the faults to its assorted charms, and, if you don’t like it, you probably can’t avoid getting hung up on the album’s faults. I fall more in the latter camp. Pavement might well be THE rock band of the 1990s. They skew a bit toward the white middle class demographic, though Gold Sounds might suggest there is more to that story. As a reviewer on RateYourMusic astutely noted (with respect to Crooked Rain, Crooked Rain), Pavement studied up on everything that was good about 80s (underground/college) rock and updated it. Brighten the Corners, while unfairly maligned by some, belongs near the top of the heap of the group’s recordings. Wowee Zowee was trying too hard to have an “eclectic” sound. Here, it all comes more naturally, and the band seems to be doing more of what they like. Comparisons to Television‘s debut are apt, as Pavement really looks further back than just the 80s. The ponderous but astute lyrics from Malkmus just top this one off with whipped cream and a cherry.